Kiwi is going to make an excellent addition to her new forever family! 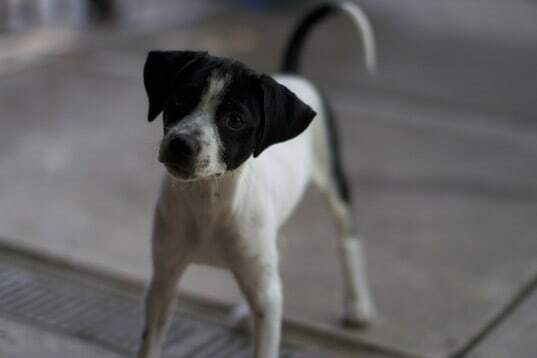 Kiwi is looking for her forever home. If you think it could be yours, read more about Adopting from BDRA before submitting your application below. BDRA relies on your donations to rescue blind dogs around the United States. Please consider giving in support of Kiwi. Kiwi is a very sweet girl that was found with her siblings left in a box on a doorstep to a rescue. Kiwi was bottle fed from the time she was a few days old. She was reported to have an eye issue in one eye, but it appears to have resolved itself as she has grown. The basic eye exam at the vet’s office did not show any current abnormality. She is a very energetic, happy and friendly pup. Kiwi LOVES to be near you and will follow you wherever you go. She responds very well to her name and to any correction you may offer her. Kiwi loves to be held, and will try to give you kisses the whole time! She is a great traveler and seems to love being in the car. Kiwi loves to play outside, run around the yard and play with the other pups at her foster home. Everyone she meets is her new friend and she has a zest for life that is palpable! She is currently working on house training and is doing quite well. She sleeps in a kennel on most nights and you rarely ever hear a peep out of her. She does love the nights she is able to cuddle with us in our bed or on the couch, too. She enjoys mealtime and has a good appetite. 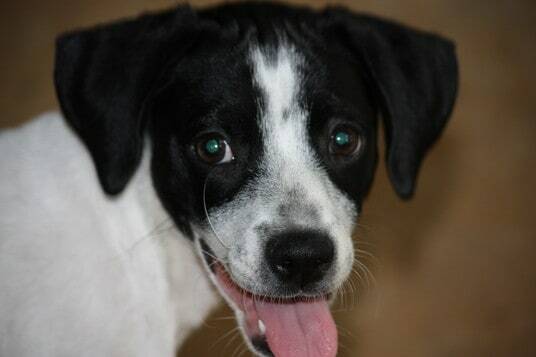 Due to Kiwi’s high energy level, she would fit best with a very active family. I would recommend a family with other pets and/or a little older children as she does still jump up on people (although we are working on this) and it would be best to not have any little ones that cannot anticipate this. Kiwi is going to make an excellent addition to her new forever family!